Use Our Telescopes From Anywhere! 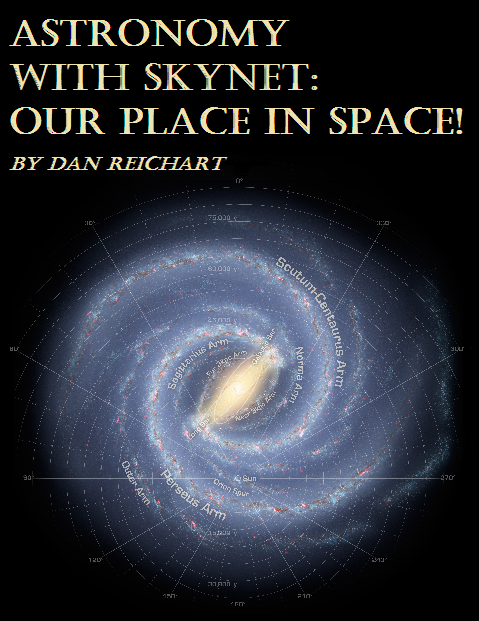 Astro with Skynet: Our Place In Space! For a summary of what we do in each lab, and a few sample labs, click here. There is no textbook, but you will need to register with WebAssign, a benefit corporation with whom we have partnered to produce and administer our interactive labs, as well as to package these with supplementary materials. All of our labs feature video summaries (for example). Most of our labs also feature shorter video tutorials, primarily to help students learn how to use Skynet, as well as Afterglow — our unique, web-based, professional-quality-but-easy-to-use image analysis software — and our web-based graphing tool. 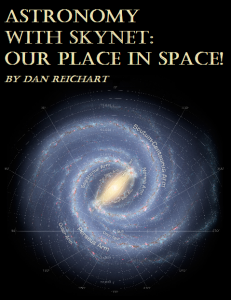 You will receive a Skynet/Afterglow username and password typically within a day, giving you priority access to our telescopes (see also 1, 2, 3) and guest access to other Skynet telescopes around the world. You will also receive a small lab kit in the mail, typically within a week. The course is self-paced. WebAssign automatically grades each question as you answer it, and offers an explanation of the correct answer. Answer 50% of the questions correctly and receive a Certificate of Completion at the end of the course. Answer 75% correctly and receive a Certificate of Mastery. Educators: If you are interested in using this course, or components of it, at your institution, click here, or email us at introastro at unc dot edu. "I think Skynet is downright amazing! I envision the telescopes being tasked by amateur astronomers around the world. They really enable anyone to get involved."